I Got a Fever, and the Only Prescription is More Particles! Particle Fever is a new documentary that brings viewers inside the home stretch of the decades-long hunt for the so-called "God Particle." CERN's search for the Higgs boson has everything a film could ask for; amazing visuals of the alien-looking Large Hadron Collider, the dramatic anticipation of whether it works, the heartbreak of near disaster and ultimate triumph of discovery. 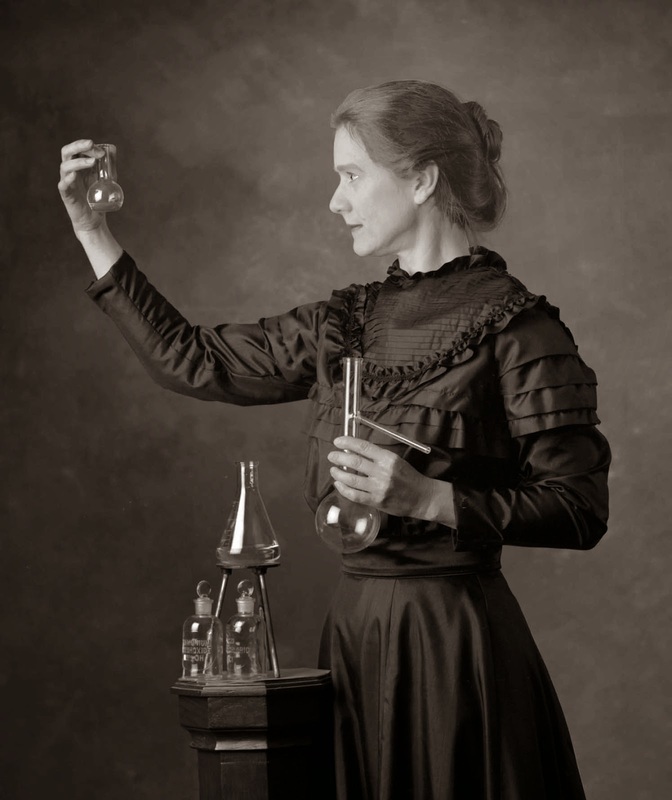 A Hollywood screenwriter couldn't have come up with a better story of science. 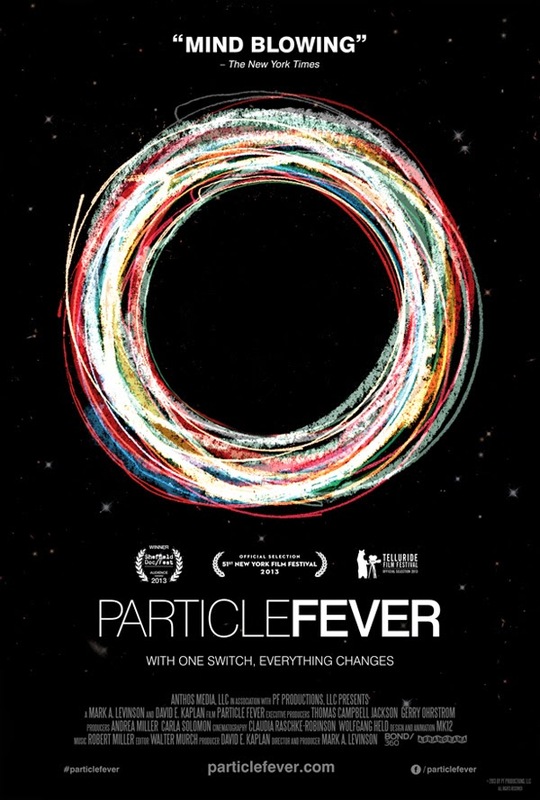 Particle Fever follows the lab's top scientists in the months leading to the completion of the LHC and the discovery of the Higgs boson, four years later. The theorists and experimentalists are the film's stars and seeing their contrasting approaches to understanding the elusive particle is the most interesting dynamic of the film. A video game where you immerse yourself into the game's world is where the next generation of virtual reality video gaming is headed. Now that Facebook has purchased the company Oculus VR, the prospect of widely-available, next-gen virtual reality gaming is one step closer. Oculus VR includes the developers and creators of the virtual reality headset called the Oculus Rift. Oculus Rift has come a long way since its Kickstarter campaign in 2012. The Rift headset takes virtual gaming to an entirely new level with a large field of view that makes users feel like they're part of the world of the game. With the help of Facebook’s deep pockets, Oculus designers could usher in the next generation of affordable, in-home virtual reality gaming. In light of this news, it’s only natural to start thinking about the gaming possibilities. What are some video games currently out that cater to physics fanatics and would also make for great gameplay with a device like Oculus Rift? A few come immediately to mind. Particulars is a game of subatomic proportions. You will learn a good deal of particle physics while playing as a down quark particle that you move through a world filled with other subatomic particles like up quarks and neutrons. One of the game’s goals is to create as many subatomic explosions as possible by smashing bosons with their anti-matter counterparts. The two-dimensional game might not be the best format for Rift. One of the perks of virtual gaming with headsets like Rift is that they immerse you into the world of the game. So, three-dimensional games can be incredibly realistic and lead to a more intense gaming experience. This week on The Physics Central Podcast we're talking about the ancient Chinese game of Go. Researchers in France want to model the game as a complex network. Other examples of complex networks include airplane flight plans, social networks, neurons in the brain, and fungal communities, to name a few. By modeling Go as a complex network, the researchers hope to find patterns and symmetries that could assist scientists who are working on Go-playing programs, that they hope will some day beat the best human Go players (something that already been accomplished in Chess). To learn more about the game of Go check out Sensei's Library and Go Game Guru; here's an article about a computer program that beat a master Go player, but only because the computer played with a handicap; an article about computers trying to beat humans at go and some of the science related to the game; here's the clip from A Beautiful Mind I referenced in the podcast; and here's some info about the computer programs that have beat humans at chess (there's even a documentary about it). The Princeton Plasma Physics Laboratory's (PPPL) new experiment appears to be operated by a ghost: It will turn on by itself and emit a purplish glow without any researchers flipping a switch. In fact, physicists at the lab aren't even using the experiment. Instead, people from around the world now have direct control of the experiment through their laptops, and you can too. PPPL's Remote Glow Discharge Experiment is housed in New Jersey, but you can turn it on, tweak its voltages and control its pressure with your web browser from anywhere in the world. As you conduct your own studies, a live webcam will show how your adjustments influence the experiment. If you do it right, you'll be able to make the experiment glow like in the picture below. As PPPL's Head of Science Education Andrew Zwicker told me at the APS Division of Plasma Physics meeting last November, "It's just really cool." A screengrab of the experiment's webcam I took earlier today. 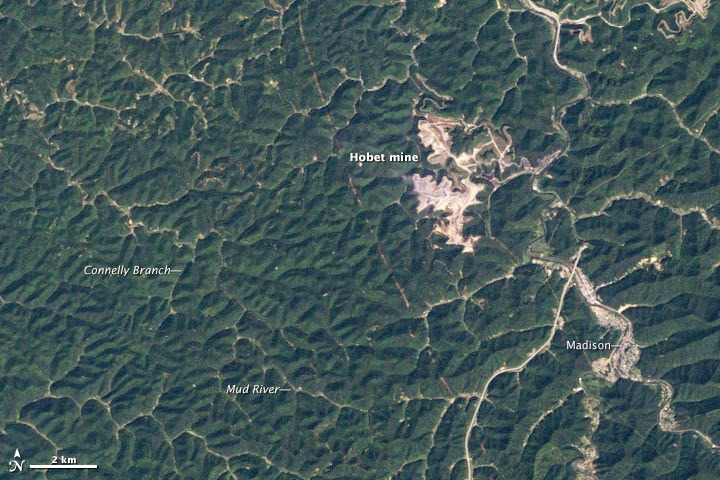 On this week's podcast, John Amos, founder of SkyTruth, shares just how satellite images help tell some of Earth's most important stories. Physics doesn't forgive - you obey the laws or you fail. It's a tough lesson that rally car driver Guerlain Chicherit learned as he tried to set a new record for the world's longest car jump. Check out the video below to see if you can tell what went wrong after he launched his modified Mini Countryman off the ramp. As the engine and the wheels slow, their angular momentum decreases. But angular momentum has to be conserved, so if the engine and wheels rotate slower, something else has to rotate faster. That something, unfortunately in this case, is the car. It's possible Chicheritlost lost his nerve and let off the gas. The more likely problem, I'm guessing, is the setting known as the rev limiter. In many cars, including regular road-going Minis, if the engine spins too fast it can cause major problems. In order to prevent that, engineers program the engine management system to cut power above some set limit. Because Chicherit's wheels were spinning madly at the beginning of the flight, with nothing to slow them, there's a good chance the engine essentially cut off. One way or the other, either the driver or the engineers overlooked some really basic physics of rotation, and the result was disastrous. Fortunately, Chicherit, walked away with only minor injuries. At least they got the physics of the safety systems right. An experiment of cosmic proportions, looking at some of the most distant visible corners in the universe, could help close what may be the last major loophole in quantum physics, or shake it to its very foundations. Could you outrun a dinosaur? Well, it depends on the dinosaur. 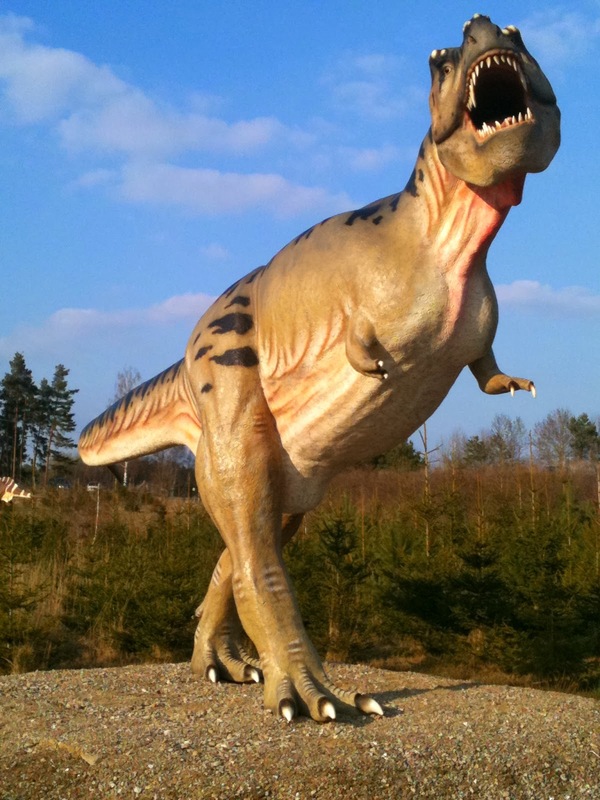 According to Scott Lee, a professor of physics at the University of Toledo in Ohio, herbivorous dinosaurs moved more slowly than predatory dinosaurs that often chased down their prey and could reach up to 30 miles per hour. Plant eaters, on the other hand, moseyed along at about 3 miles per hour. This means you could easily outrun, and even out-walk, some herbivorous dinosaurs. But if you caught the attention of a ravenous raptor, chances are high that it would be the last race you ever ran. It’s no surprise that predatory dinosaurs evolved to move faster than their prey. Otherwise, they would be hard pressed to find a decent meaty meal most days. But it would also make sense, from an evolutionary standpoint, if herbivorous dinosaurs at least gave predators a run for their money in the cat-and-mouse chase. By studying 56 sets of distinctive fossilized footprints, or trackways, belonging to herbivorous dinosaurs that paleontologists have uncovered over the years, Lee determined that not a single set resulted from running. 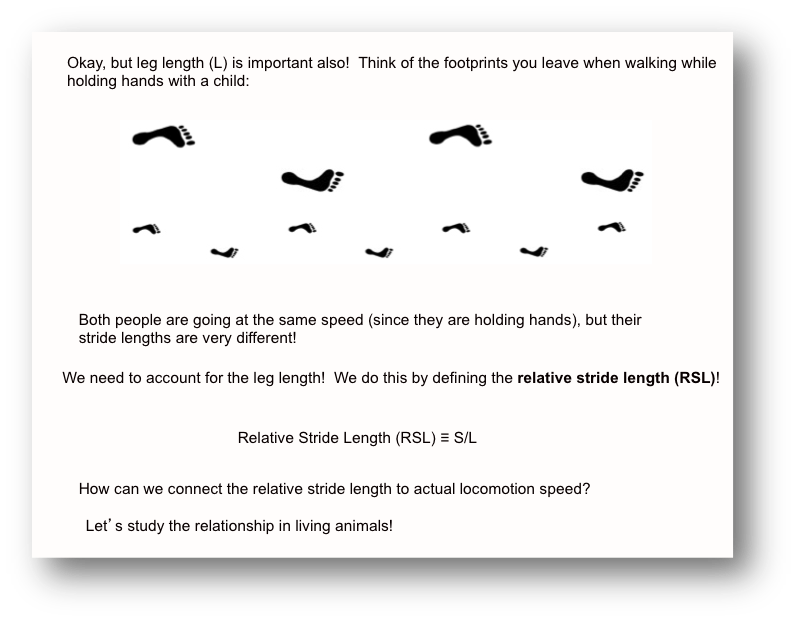 Lee calculated the ratio of the dinosaurs’ stride length to foot length and found that all of the footprints were likely made at a walking pace. So, how did the plant-eating dinosaurs protect themselves? 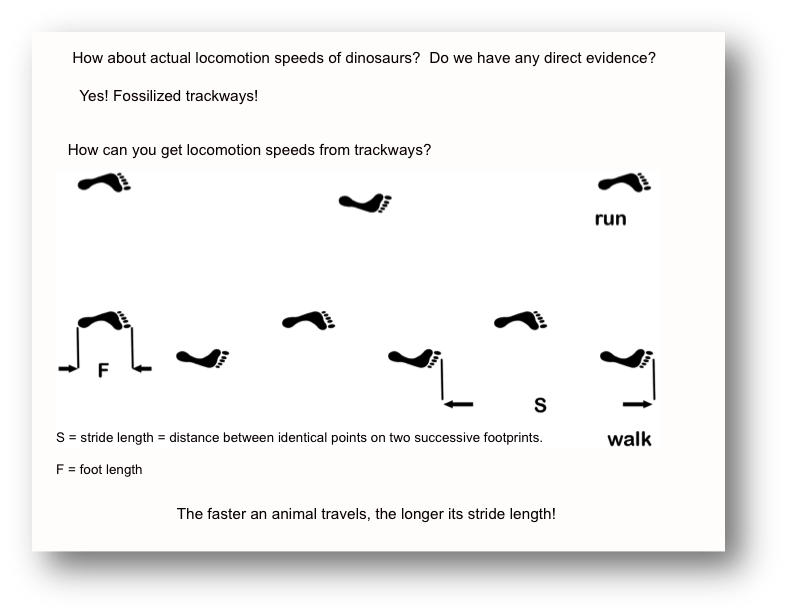 Two slides taken from a PowerPoint presentation Scott Lee offers to explain how he estimates the speed of dinosaurs based from their fossilized footprints. Credit: Scott Lee. Greetings, podcast listeners! This week's Physics Central Podcast is a short story I heard about at the APS March Meeting that just wrapped up in Denver, Colorado. A physicist at Cornell University is studying bull sperm, and is looking at a phase transition that the sperm undergo. Basically, in a relaxed fluid, the sperm are disorganized: they all point in different directions. But when the flow of the fluid is turned up to a certain "critical flow rate" the sperm spontaneously point upstream. This type of order/disorder transition is a physics specialty: learn about the transition, look for commonalities with other systems that also undergo transitions, learn something new about bull sperm. Listen to the podcast to hear more! With a gargantuan head flaunting the largest teeth of any predatory dinosaur, Tyrannosaurus rex embodies the ideal nightmarish horror. So, what was such a ferociously large animal doing with such tiny forelimbs that look more like a humorous afterthought than an evolutionary tool? “Some people think T. rex forearms are just vestigial organs which evolved away, but I claim no,” said Scott Lee, a professor of physics at University of Toledo, who argues that a T. rex could move its forearms quickly enough to prevent a struggling prey's escape. Therefore, the arms were an integral part of the predator’s hunting tactics, he said, and not useless stubs. Dinosaur sculture in Germany. Image provided through Wikimedia. One of the key pieces of evidence supporting Lee’s notion are the stress fractures paleontologists have found on the handful of wishbones they’ve recovered from fossilized T. rex remains. Today, birds are the only animals with a wishbone, which helps them achieve flight. The boomerang-shaped wishbone, also called the furcula, of a T. rex comprises part of the forelimb, and its purpose is less understood. Last month, our friends over at Inside Science put together this fantastic infographic about the "evolution" of the Beatles' first television broadcast in 1964. Upon the initial broadcast, the video recording of the Beatles' tunes was sent outward at the speed of light, and those high frequency waves are still traveling through space. Below you can see a timeline of events on Earth coupled with the position of those waves in space. Check it out! Amanda Page is a multimedia guru specializing in web content ranging from animations to infographics. Follow her publications on Twitter: @AmandaPage_. Thank you to Seth Shostak from the SETI Institute and Rick Fienberg from the American Astronomical Society for lending their astronomical expertise to this project. Anchor technology hasn't changed too much since Blackbeard's heyday. They're really not much more than gigantic hunks of steel with hooks. Now, scientists are working on building a smart, robotic anchor inspired by a clam that buries itself into the seabed. Burrowing is something that the clams figured out the best way to do long ago. The Atlantic razor clam in particular is one of the planet's best burrowers. "It has a digging efficiency that is more than ten times any existing technology," said Kerstin Nordstrom, a researcher at the University of Maryland. This week's physics central podcast is about hot and cold. Volcanoes—which spew material that reaches thousands of degrees Fahrenheit—can actually cool the planet. Volcanoes eject aerosols that reflect sunlight, and climate scientists have observed the cooling effects of major volcanic events in 1991 and 1982. Those effects can sometimes take years to reverse. New research in the journal Nature Geophysics has shown that the combination of minor volcanic events between 1998 and 2010 had a measurable cooling effect on the Earth. This is a big deal because it partly explains the so-called global warming slow-down: a decrease in the acceleration of rising global temperatures. For the most part, climate models have not been able to replicate the slow-down. But most of those models do not include recent volcanic activity as a cooling factor. In 2011, Susan Solomon and colleagues at MIT wrote a paper showing that the volcanic contribution from 1998 to 2010 was likely large enough to have a significant cooling effect on the earth. The new work by Ben Santer and colleagues at Lawrence Livermore National Laboratory provides the quantitative evidence to back up Solomon's conjecture. Using satellite data going back to 1998, Santer and his team measured the extent to which volcanic aerosols blocked sunlight and moonlight coming through the atmosphere. They estimate that volcanic activity may be responsible for 15 to 20% of the global warming slow-down. The results counter the notion that climate models do not predict the slow-down because they are "oversensitive" to greenhouse gasses. Santer emphasized that this logic is flawed for multiple reasons, but the new results offer more clear evidence against it. This new information will help scientists make better predictions about future climate conditions (it is already being incorporated into climate models), but it don't be mislead by the title of this post: these cooling effects do not reverse the effects of climate change. If volcanic activity and other cooling effects are reduced in the future, temperatures will once again start to soar. A precious resource has been returned to thousands of physicists attending this year’s APS March Meeting. Yesterday marked the start of one of the largest physics conferences in the world, but the security settings on arXiv did not know this. The arXiv is an online repository for preprints of scientific papers covering studies in mathematics, physics, astronomy, computer science, quantitative biology, statistics and quantitative finance. When over 9,000 scientists using the meeting’s complementary WiFi tried accessing their trusty scientific paper repository, the arXiv’s security turned on and denied them access. Luckily, developer of arXiv, Paul Ginsparg, was notified of the problem and earlier this morning scientists at Cornell University lifted the block. One of the ways that websites identify hacking attacks is when a large number of requests from a single Internet Protocol (IP) address attempt to access the site over a short period of time. Such was the case on Monday, March 3 at the Colorado Convention Center where this year's APS March meeting is taking place. Page that appears in place of arxiv.org. Instead of recognizing its devoted users, the arXiv identified the many requests as an attack attempting to shut down the site or illegally download information. As a result, when users tried to access the site with the meeting’s complimentary WiFi, they came face to face with a daunting “Access Denied” page. Researchers are charged up about biobatteries, devices able to harness common biological processes to generate electricity. Most biobatteries are unable to generate large amounts of power, but researchers recently developed a prototype version that has the potential to be lighter and more powerful than the batteries typically found in today's portable electronic devices, including smartphones.